ENGEO has once again been honored with a Best Place to Work award in the 2011 San Francisco Business Times /Silicon Valley Business Journal Best Places to Work Award competition. At a ceremony on Thursday, April 21st in San Francisco, the firm received the award placement of Number 5 in the small-sized 51 to 100 employee category. This category featured 301 competing companies from the 12-county Greater Bay Area. This latest award continues ENGEO’s admirable award streak, as they have finished in the top five every year for which the firm has submitted for the award, placing Number 1 in 2006 and 2007. 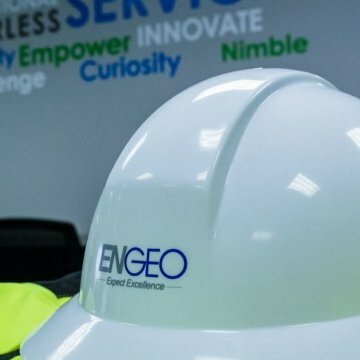 ENGEO has experienced growth and profitability over the past year and is working on exciting projects throughout the country. The firm has engaged in proactive measures to reduce operational costs, preserve livelihood by retaining staff in the face of the downturn, and improve the quality of life for employees. The firm is committed to maintaining a close-knit atmosphere and a stimulating work environment. ENGEO offers comprehensive training, coaching, mentorship, and actively promotes involvement of all employees in important decisions of the firm. Through a combination of small committees, after-work activities, and an open-door policy, the firm is committed to providing each employee with a voice and a strong connection to the team.